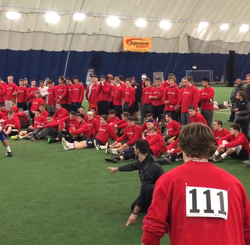 If you are an aspiring college specialist in the northeast, there is no other event that will provide a better platform for your talent than the STS College Exposure Camp. 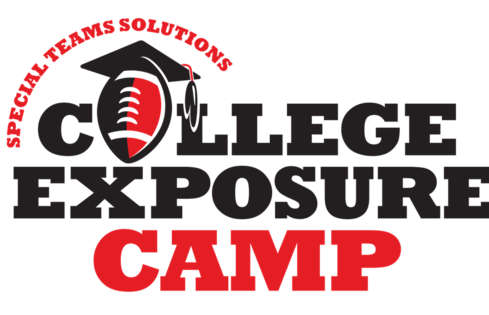 This event annually draws top prospects and the attention of coaches at DI, DII and DIII colleges across New Jersey, New York, Pennsylvania, Delaware, Maryland, Virginia, Connecticut, Massachusetts and beyond! 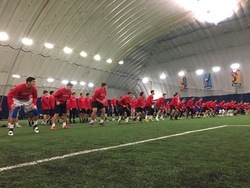 · Over the last 14 years, more than 300 specialists have been referred and placed at many of the nation’s top colleges including Rutgers, UConn, Pittsburgh, Syracuse, Virginia, VA Tech, West Virginia, Penn State, Boston College, Maryland, North Carolina, Temple, Buffalo, Army, Navy, Old Dominion, UMass, Maine, Delaware, Richmond, Towson, New Hampshire, William & Mary, Rhode Island, Villanova, Princeton, UPenn, Brown, Columbia, Fordham, Bucknell, Colgate, Georgetown, LeHigh, Holy Cross, Lafayette, Monmouth, Wagner, Elon, Ithaca, Johns Hopkins, RPI, Colby, Carnegie Mellon and many more! Costs? $315 by November 1, $340 by December 1, $365 after December 1. Please note there are no refunds for this event, only credit toward a future STS camp. Please notify info@stscamps.com by December 1 of any cancelation. After such date, no refunds or camp credits will be issued.